U.S. President Theodore Roosevelt Jr. embraced a strenuous life. He was a learned historian, rancher, and soldier who helped form the “Rough Riders” and gained national fame for his bravery fighting in Cuba. As vice president, Theodore Roosevelt became president upon William McKinley’s assassination. Roosevelt’s policies moved the country toward progressivism by increasing regulations on businesses. He spoke out on conservation and greatly expanded the system of national parks and forests. His policy of “Speak softly and carry a big stick” was responsible for expanding the navy and building the Panama Canal. In 1912, he broke with Republicans and ran for president on the Bull Moose Party but lost to Woodrow Wilson. 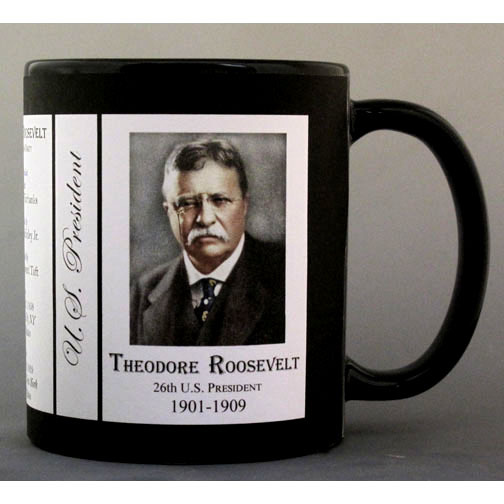 The Theodore Roosevelt biographical history mug is part of our Presidential series. The biographical History Mugs were created to teach and inspire individuals to learn about our diverse and interesting history. The biographies were researched and written by history enthusiast, Robert Compton. He colorized most of the historic photos and images used on the mugs, which were originally black and white or sepia tone. The images and biographies are imprinted on mugs at his studio in rural Vermont. This U.S. President William Henry Harrison History Mug is one of a complete collection of U.S. Presidential biographical mugs. 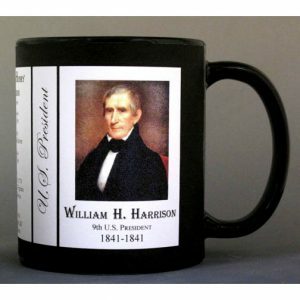 An image of William Henry Harrison and a short biography are features of this history mug. This U.S. President Abraham Lincoln History Mug is one of a complete collection of U.S. Presidential biographical mugs. 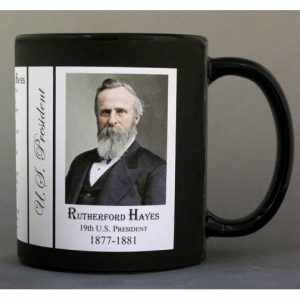 An image of Abraham Lincoln and a short biography are features of this history mug. 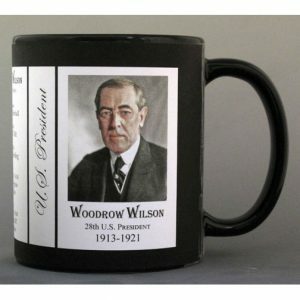 This U.S. President Woodrow Wilson History Mug is one of a complete collection of U.S. Presidential biographical mugs. 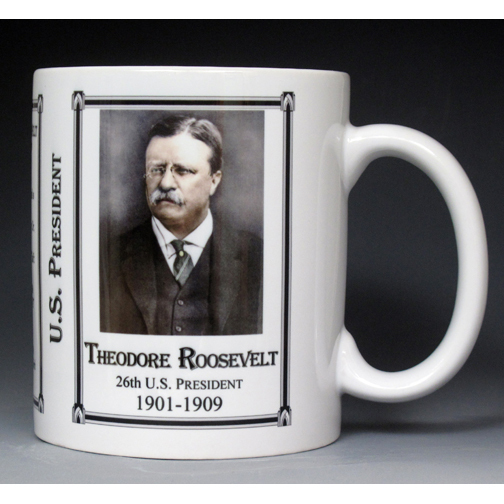 An image of Woodrow Wilson and a short biography are features of this history mug. 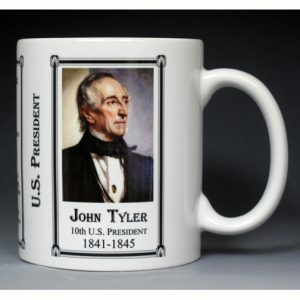 This U.S. President John Tyler History Mug is one of a complete collection of U.S. Presidential biographical mugs. An image of John Tyler and a short biography are features of this history mug. This President John Adams History Mug is one of a complete collection of U.S. Presidential biographical mugs. 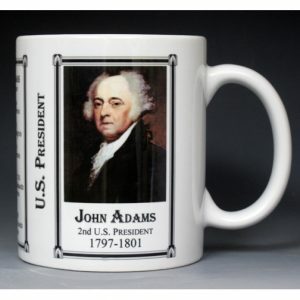 An image of John Adams and a short biography are features of this history mug. 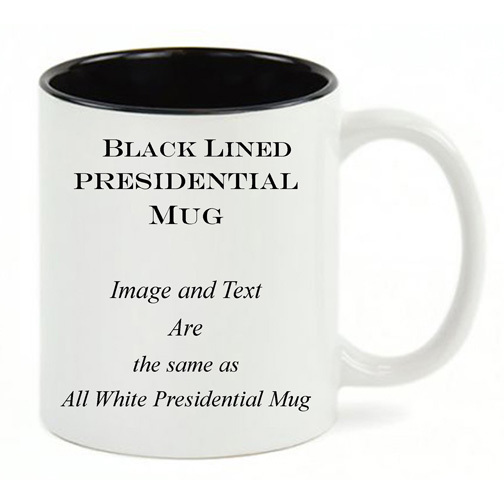 This U.S. President William McKinley History Mug is one of a complete collection of U.S. Presidential biographical mugs. 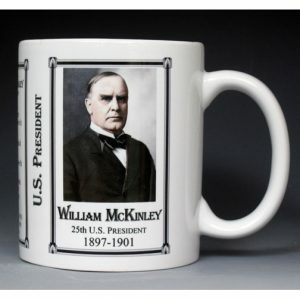 An image of William McKinley and a short biography are features of this history mug. This U.S. President William Howard Taft History Mug is one of a complete collection of U.S. Presidential biographical mugs. An image of William Howard Taft and a short biography are features of this history mug.